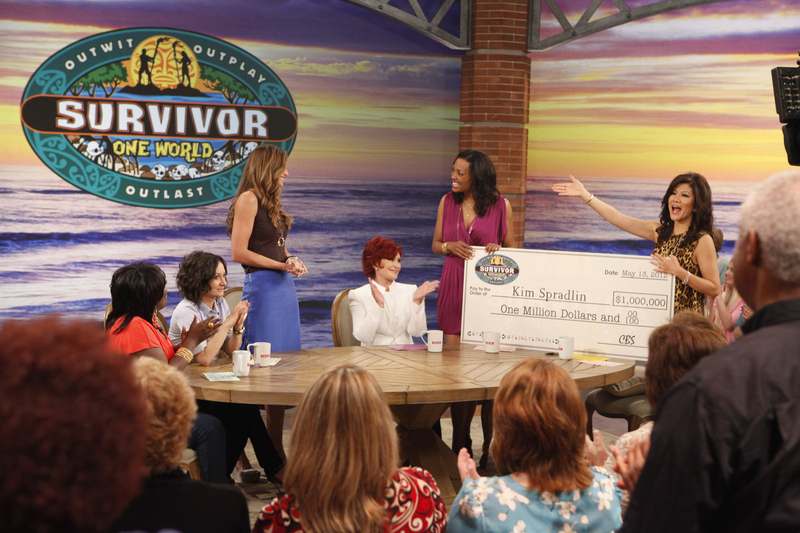 The sole winner of CBS's “Survivor: One World” Kim Spradlin is presented with $1 Million check live on-air. Sharon Osbourne, from left, Sheryl Underwood, Sara Gilbert, Kim Spradlin, Aisha Tyler, and Julie Chen, shown. Photo: Craig Blankenhorn/CBS ©2012 CBS Broadcasting Inc. All Rights Reserved.